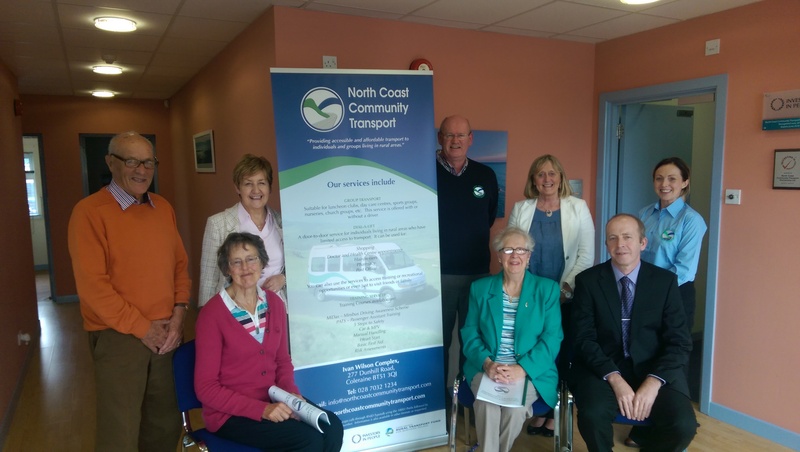 North Coast Community Transport held their 2016 Annual General Meeting on Thursday 22nd September in Coleraine. 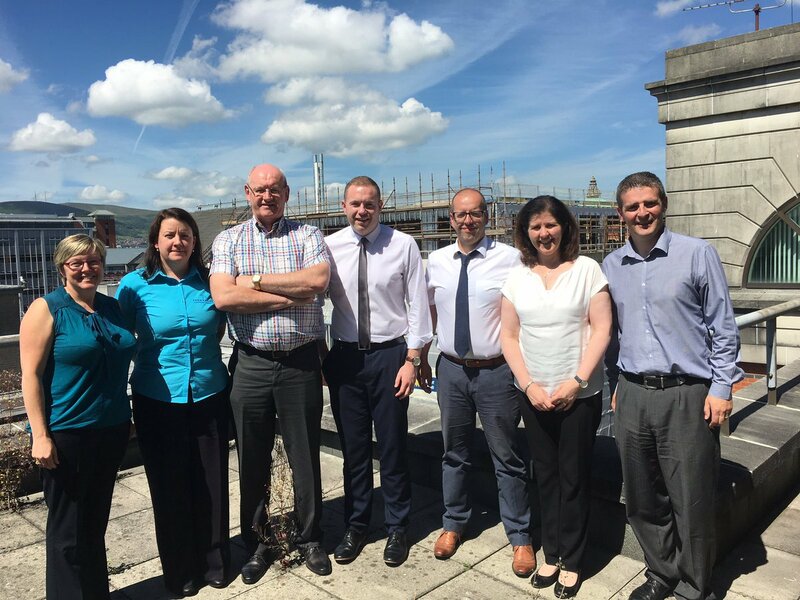 Attending was Chairperson Thelma Dillon, Director Mr Jack Rankin, Director Ms Marie McGinnis, Transport Manager Mr Billy Moore, Deputy Manager Ms Emma Mullan, E&M Accountant representative Mr Sean McManus and service members Ms Margaret Kelly, Ms Wilma Moulden and Ms Ruth Auld. 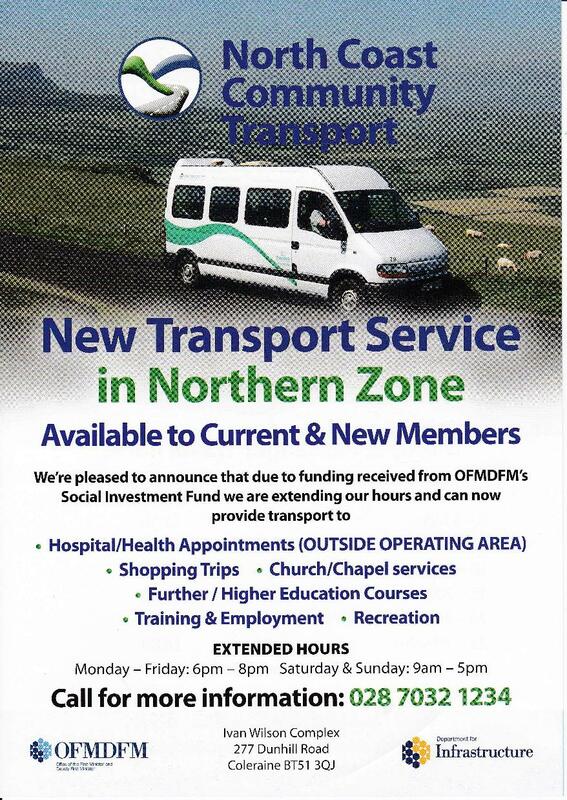 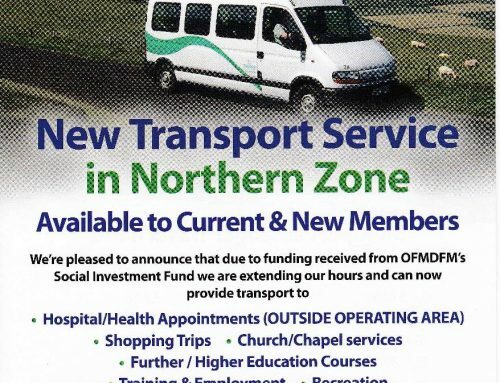 The meeting was a great success and the organisation were delighted to report on such a wonderful year delivering transport services.